First time on the market!!! Everything you'll ever need is waiting in this beautiful custom built home. Step into the foyer and begin your tour of the living room, dining, family room with fireplace and kitchen with breakfast nook then step into the sun room to relax and unwind. The kitchen was remodeled with new appliances and granite counter tops in 2015, new furnace in 2008, remodeled bath in 2013, new roof in 2010, new A/C in 2009, gas fireplace in 2009, hardwood floors and remodeled sun room in 2005. 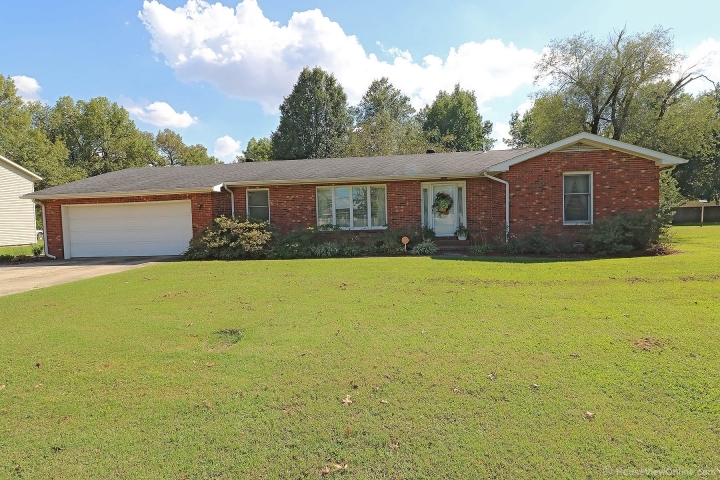 Three bedrooms, 1 & 3/4 baths and 2 car garage with storage plus a 14x14 outbuilding. The only thing you'll need to do is move in.